Leather Knob Has Wear, See Photo. A great set to add style to you Kia Sportage 2005 - 2010 interior. Part Number - H8450ADE50ST. Stonic 2017-. Genuine Kia Stainless Steel Set Of 4 Door Sill Entry Guards. Channel Islands, Isle of Man, Scilly Isles, Scottish Islands, Scottish Highland, Northern Ireland, Isle of Wight. FOR YEARS: 2010, 2011, 2012, 2013, 2014 (2012). We do not cover labour Costs. We Do Not Cover Any Labour Costs Involved With Fitting Or Removal Of Any Parts. Polished Stainless Steel Sill Protectors for the Rio (released 2017). Engraved as shown above. (4th Gen, Released 2017). Number of Sill Protectors: There are 4 Sill Protectors in the Set. The 2 front Sill Protectors are 480mm long, and the 2 rears are 140mm long. Kia Picanto. Polished Stainless Steel Sill Protectors for the Picanto. These Sill Protectors have been tailor made to fit the Picanto 1st & 2nd Gen (approx. They have a radius along the front, protecting not only the upper surface, but also the corner of the sill which is the area most likely to get scratched. ). • Airbag compliant design, doesn't affect airbag pop. 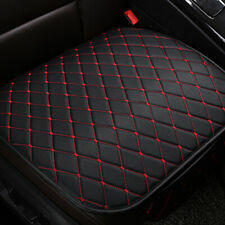 High-Quality Black PU Leather Front Car Seat Covers With Red Piping. 2x front seat covers. • Made of high quality PU leather and soft foam,provide comfortable seating feeling. GREAT GIFT FOR YOU OR ANY KIA OWNERS. UNIVERSAL FITTING WITH VELCRO FASTENING. HERE WE HAVE ONE QUALITY SEAT BELT PADS MADE IN. THE PERFECT FINISHING TOUCH TO YOUR CAR INTERIOR. GIVES YOU EXTRA COMFORT AND ADDS. High-Quality Blue PU Leather WithEmbroidered Union Jack Flag 13 Pieces Full Set Car Seat Covers. • Made of high quality Blue PU leather and soft foam,provide comfortable seating feeling. • Hand Sewing Joint. Part Number - 1Y450ADE00. Picanto 2011-2014. Picanto 2015-2016. 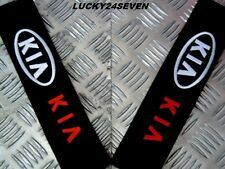 Genuine Kia Stainless Steel Set Of 2 Door Sill Entry Guards. Channel Islands, Isle of Man, Scilly Isles, Scottish Islands, Scottish Highland, Northern Ireland, Isle of Wight. DOOR SILL PLATES. SILL PLATE SIZES. REAR SILL 230mm x 40mm - 2 off. The set comprises of 4 pieces that will fit into the contour of the foot plates on all four passenger doors. these trims are very easy to fix within minutes and supplied with the necessary 3M double sided tape. 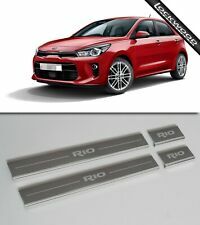 Kia Picanto 2017 – Door Entry Sill Guards. First Impressions always count. They are a custom fit and feature the Picanto Logo. Vehicle compatibility information is provided as a guide only. There may be on occasions more than one compatible part for your vehicle. Top quality gear gaiter made from 100% genuine Italian leather. The plastic surrounds or the gear knob is not included. KIA SORENTO MK1 2003 TO 2009. BLACK LEATHER WITH BLACK STITCHING. EASY TO FIT AND EFFECT IS AMAZING ! 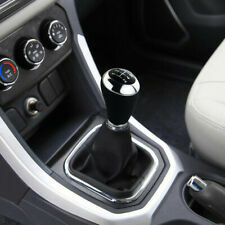 The Kia Venga Leather Gear Knob is suitable for all manual, 6 speed models. Quick and easy to fit, the Kia Venga Leather Gear Knob replaces the original factory fit vehicle gear knob. The Kia Venga Leather Gear Knob is supplied with full fitting instructions. Applicable models: For KIA Stonic. Insure that the surface which the product is to be applied is clean, dry and free of all ail, grease and wax. Remove protective film from adhesive, align carefully and then press firmly to insure proper adhesion. These covers are intended to protect your original upholstery from dirt and wear. (not suitable for cars with bucket style car seat or non standard car seats, standard seats). 1 X REAR BASE SECTION SEAT COVER. High-Quality Black PU Leather 5 Pieces Full Set Car Seat Covers. • Made of high quality PU leather,Premium Fabric and soft foam,provide comfortable seating feeling. • Hand Sewing Joint. 2x Covers for the back side of the front seat covers. DOOR SILL PLATES. SILL SIZES. The set comprises of 4 pieces that will fit into the contour of the foot plates on all four passenger doors. and will enhance the look of your car with this eye catching design. High-Quality Black PU Leather 5 Pieces Full Set Car Seat Covers. • Made of high quality PU leather and soft foam,provide comfortable seating feeling. • Hand Sewing Joint. 2x Covers for the back side of the front seat covers. High-Quality Grey & Black PU Leather 5 Pieces Full Set Car Seat Covers. • Made of high quality PU leather and soft foam,provide comfortable seating feeling. • Hand Sewing Joint. •Color: Grey & Black. 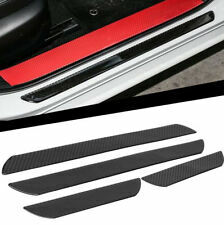 FLEXILL EXCLUSIVE STYLE DOOR SILL TRIMS. SILL PLATES. These SILL PLATES will add a distinctive look to your vehicle. The TRIMS fits directly onto the outer door sill. necessary 3M double sided tape. SeatCoverWorld Specialists in Seat Covers Premium BLACK Car Seat Covers - Front & Rear Full Set ---Contains: 2 x Single Front Seat Covers 1 x 2 Piece Rear Seat Cover 5 x Head Rest Covers ---These covers are UNIVERSAL FIT and therefore will cover up anything built into the rear seat such as centre seat belts, fold out armrests and seatbelt slots. 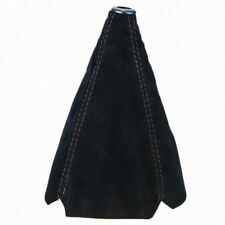 ---Made from Top Quality fabric that will protect your car without compromising on comfort and luxury. ---Airbag Friendly ---Rest assured - these arenotthe cheap flimsy Chinese covers. These covers are manufactured in UK! ---If you require armrest openings, please leave us an ebay/paypal message at time of purchase. Perfect for maintaining and protecting the condition of your seats. 6 MONTH WARRANTY BUY WITH CONFIDENCE ---Payment ---Shipping ---Returns Payment via Paypal. The Kia Venga Leather Gear Knob is suitable for all manual, 5 speed models. Quick and easy to fit, the Kia Venga Leather Gear Knob replaces the original factory fit vehicle gear knob. The Kia Venga Leather Gear Knob is supplied with full fitting instructions. Black Flower 9 PCE Seat Cover Set. This set includes 2x front seat covers, 1x 2-part rear seat covers, which allows the rear seat to be folded and 5x headrests. See compatibility table above. Universal fit - Easy to fit. High-QualityRed & Black PU Leather 5 Pieces Full Set Car Seat Covers. • Made of high quality PU leather and soft foam,provide comfortable seating feeling. • Hand Sewing Joint. 2x Covers for the back side of the front seat covers. Universal fitting Car Boot Tidy. Car Boot Organizer Storage Bag. Folds flat for easy storage when not in use. Product size approx.50cm x 25cm x 15cm. And what you will receive is only the leather part. KIA SORENTO. beige leather. Universal Fit / NOT TAILOR MADE ( WILL STRETCH TO FIT). ( not suitable for cars with bucket style car seat or non standard car seats, standard seats are pictured below ). 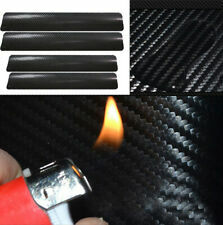 A NEW LOVELY 9PCS BLACK LIGHT FABRIC UNIVERSAL CAR SEAT COVERS. Box contains: 1 x Gear Gaiter. Stitching Colour: White. Leather Colour: Black. 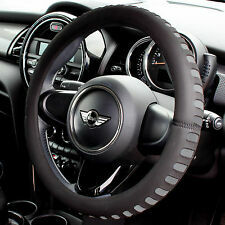 We specialize in customisation of car interior but also in creating unique and personalized products made of genuine leather or suede material. Applicable models: For KIA Stonic. Insure that the surface which the product is to be applied is clean, dry and free of all ail, grease and wax. Do not move the product or wash your car in 24 hours after installation. FITS KIA SORENTO 2002-2009 MODELS ONLY. top grain leather. They are quick and easy to fit and look great. IMPORTANT: This item has been designed for LHD vehicles. Most parts will fit UK RHD vehicles but we can not confirm which parts will and will not fit. And what you will receive is only the leather part. KIA SORENTO. light Greyleather. BLACK LEATHER GEAR GAITER SHIFT BOOT KIA SORENTO I 2003 - 2009 These are made from genuine soft Italian leather. This leather gaiter will improve the appearance making, your gear shift look like new again. These Sill Protectors have been tailor made to fit the Kia Venga (released 2009, including the 2015 face-lift). They have a radius along the front, protecting not only the upper surface, but also the corner of the sill which is the area most likely to get scratched.